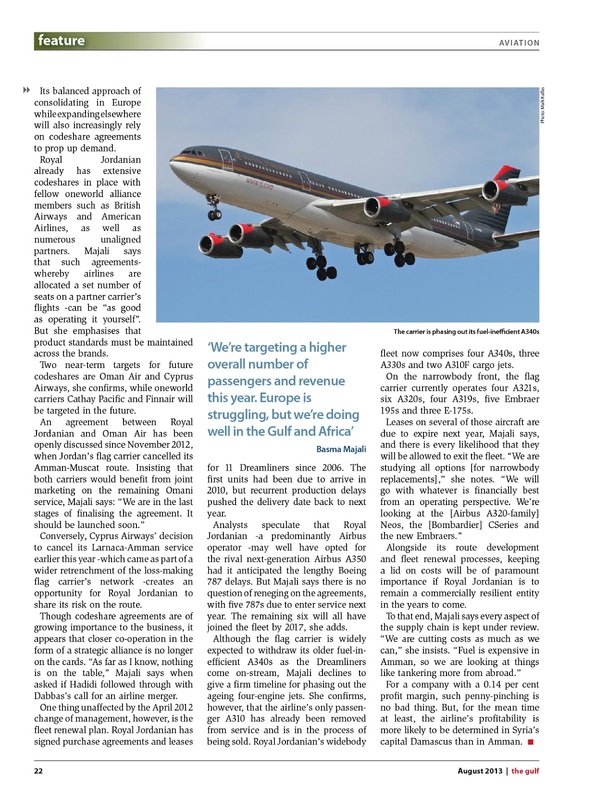 Few companies were worse affected by the Arab Spring that those in the region's tourism and travel sector. 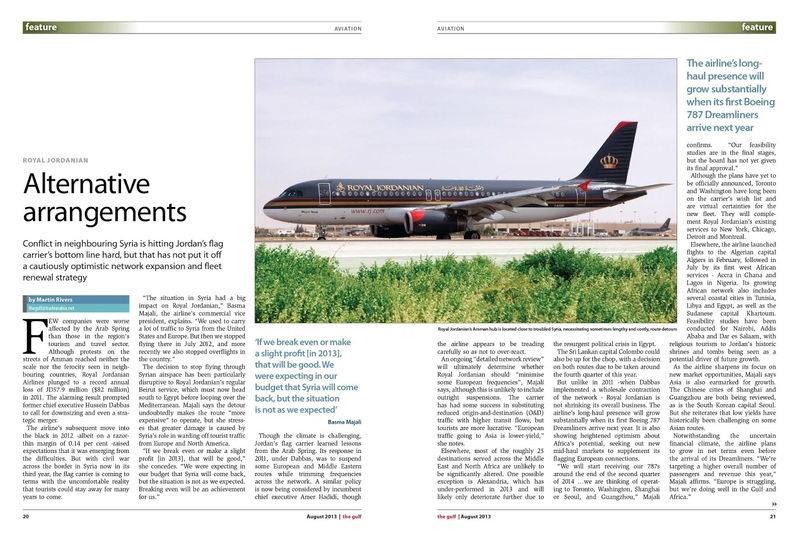 Although protests on the streets of Amman reached neither the scale nor the ferocity seen in neighbouring countries, Royal Jordanian Airlines plunged to a record annual loss of 57.9 million dinar ($82 million) in 2011. The alarming result prompted former chief executive Hussein Dabbas to call for downsizing and even a strategic merger.